Mad Max: Fury Road. Trailer. Enough Said. Whilst strictly speaking its not a horror film any apocalyptic themed flick has the elements of horror film. Well that's my story and I'm sticking to it. 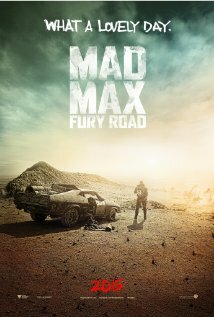 Check out the trailer for Mad Max: Fury Road...it's pretty amazing. Stars Tom Hardy, Charlize Theron and Rosie Huntington-Whiteley. Directed by George Miller.